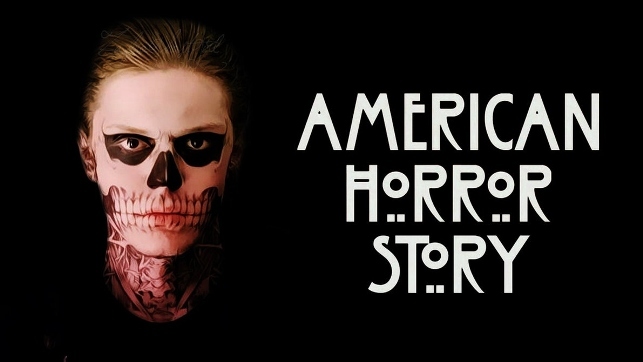 Every Wednesday night at 10 p.m., 6.1 million viewers tune in to FX to watch “American Horror Story”. Now that its in its fourth season, this television show has become wildly popular for being extremely graphic and scary. One of the things that sets this show apart from the rest is that every season is different from the others, as opposed to having the same characters and plot. The first season was about a “murder house”, while the second one focused on an asylum for the criminally insane in the 1960s. The third one followed a coven of witches, and the fourth season centers around a carnival freak show in the 1950s. But what is it about this 60-minute horror show that attracts so many viewers? It’s hair-raising, explicit, disturbing, and above all it’s unique; all qualities that can make a show explode in the television business. Every show must compete for ratings, time slots and viewers but “American Horror Story” doesn’t really have much competition because there aren’t any other popular horror shows that can compare. However, this feat probably wasn’t easy to accomplish. How do you present a show that’s full of gore, freaks, crazy people, and murders to an audience and expect them to eagerly tune in week after week? It’s pretty impressive that the creators of the show managed to do this. Somehow, with complicated characters that have complex backstories and shocking plot twists every episode, the show has managed to capture America’s hearts. Teens and adults alike eagerly await next Wednesday, and some may even binge-watch the first three seasons on Netflix or Hulu Plus. For some strange reason, America loves horror. It could be that we like the adrenaline rush of being frightened, or maybe we like it because it’s so unreal and simply interesting to watch crazy clowns and visually explore haunted houses. “American Horror Story” isn’t aiming to be realistic – it doesn’t want to relate to the viewer in any way except with the fear of what’s coming next, which is a refreshing change; oftentimes, shows try way too hard to be realistic and then end up being quite the opposite. While the audience has been able to relate to some of the characters on the show, its highly unlikely that anyone expects to immediately relate to a two-headed girl or a bearded lady. That’s why it’s so surprising when a character ends up being different then you had originally thought it would be, and just one of the reasons why we all love American Horror Story. “American Horror Story” isn’t all horror, however. While many viewers are attracted to the gore and twisted story-lines of the show, still others are attracted to the complex characters and surprising plot twists. This 60 minute horror show that’s expected to be a simple blood bath is extremely engaging, and shows how American TV viewers don’t always want to watch the common characters.